When we talk about authentic Chinese food in Singapore, one restaurant that runs in contention among the best is Crystal Jade Kitchen. With a presence in 9 countries from Singapore to South Korea, Crystal Jade is the epitome of quality Chinese food that all of us can enjoy. Their culinary accolades include holding consecutive Singapore Michelin One Stars since 2018, the Hong Kong Bib Gourmand from 2009 to 2015 and Shanghai Bib Gourmand in 2017. Crystal Jade respects the core principles of Chinese cuisine and has stayed true to their brand mission to spread the word on Chinese cuisine and culture for the past years by serving quality food they are famous for. Crystal Jade Kitchen consists of a team of stellar chefs that prepares authentic Cantonese favourites. It focuses on serving mains along with appetizers and side dishes for a hearty meal. 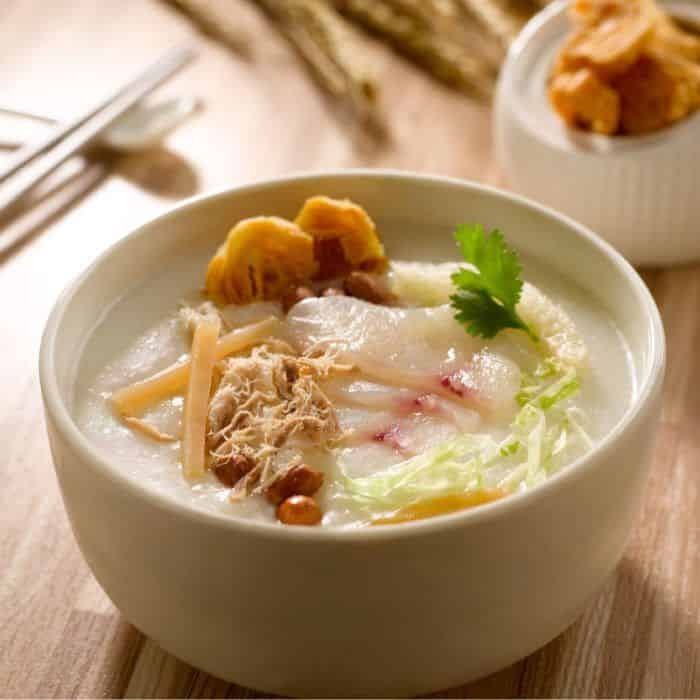 Be spoilt for choices for a spread of Chinese mains from classic Ting Zai Congee to Wok-Fried Seafood Hor Fun. They even have poached seasonal vegetable and the classic Crispy White Bait with Salt and Pepper. Be sure to order the Crystal Jade Signature Pork Belly that is roasted to perfection for the perfect crisp on the skin and tenderness of the meat. Finish it off with a delightful bowl of Double-Boiled Assorted Mushroom Soup. This Crystal Jade brand is known for both La Mian (a type of Chinese noodle) and Xiao Long Bao (a type of Chinese dumpling), as evident in their name. 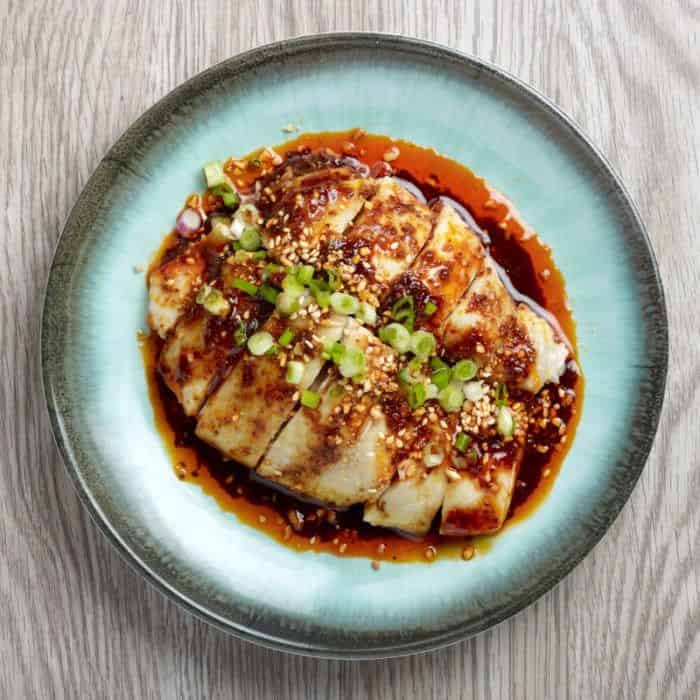 If you are up for something spicy, be sure to try their Signature Szechuan Dan Dan La Mian (Peanut Sauce with Chilli Oil) for the nutty richness or the La Mian with Scallion Oil served. Otherwise, a generous bowl of La Mian served with Double-Boiled Chicken Soup would warm your stomach. Pair your La Mian with their signature Xiao Long Bao, with flavours like the classic Steamed Shanghai Xiao Long Bao and adventurous flavours like Chilli Crab or Salted Egg Yolk. 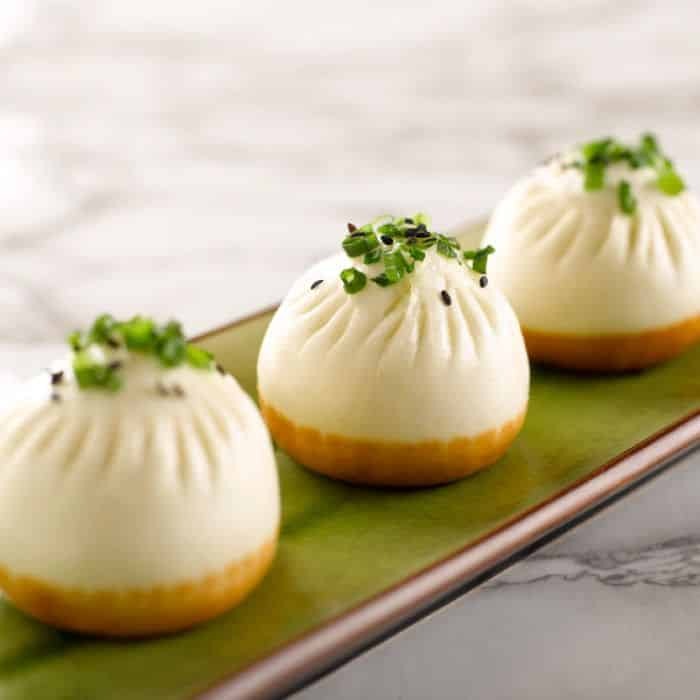 They too offer appetizers like Pan Fried Shanghai Pork Bun and mains like Poached Sliced Fish in Szechuan Spicy Soup and a variety of sauteed and braised vegetables. This brand particularly specialises in the dim sum category of Chinese food. Most of the items on the menu are small in quantity to emulate the bite-sized portions of tea time meals. Some common orders you should consider from Dim Sum Inc are Siew Mai with Fish Roe, Steamed Har Kau, Salted Egg Yolk Custard Bun and Carrot Cake with XO Sauce. You can even get your protein fix with Steamed Spare Ribs or Chicken Feet with Black Bean Sauce. This is perfect for a quick tea time snack! Now, you can enjoy delicious Chinese fare from any of the 3 brands of Crystal Jade at your convenience with GrabFood’s Chinese food delivery in Singapore. Simply order via the convenient GrabFood food delivery app and wait for your meal to arrive at your doorstep!